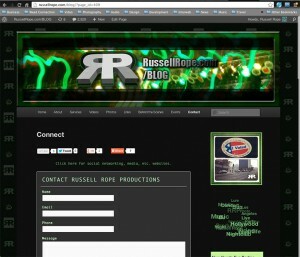 Welcome to the official blog of Russell Rope (Productions). 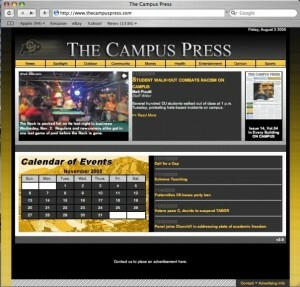 RRP Blog is a custom Word Press blog, which was designed and partially developed by Russell Rope. Much deserved credit to the Word Press team as well as the developers of various plug-ins used. Combined with some serious skillz, this uber dynamic blog is a semantic publishing wizard. Russell Rope has maintained several blogs over the years, but this is the best and most content rich. This blog was launched or “relaunched” as an intermediary between Weed Connection and our new and unreleased mainstream digital publication. 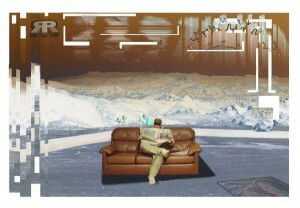 WeedConnection.com is your source for medical and recreational cannabis infotainment. It is designed, developed, produced, and published by Russell Rope. 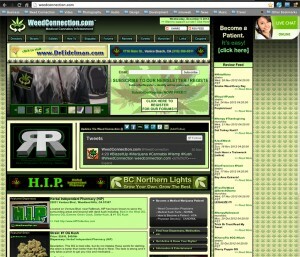 Originally developed as a static site with intent of being upgraded to dynamic and database driven, WeedConnection.com launched in 2006 and was CMS integrated by the end of 2007. Weed Connection and its related web properties have been evolving since before public launch and there are serious plans for future development, production, and expansion. Please enable pop-ups for this to work. Russell Rope was Online Editor (+basically Online Creative & Technical Director) @ The Campus Press, which was the University Newspaper. After designing, developing, and launching the site, Russell developed a system for the editors to submit content through PHP/HTML forms. It was still a time consuming task to publish submissions to the site. Automating the publishing of content was solved when RRP developed the WC CMS.